Today, more trains, and planes. 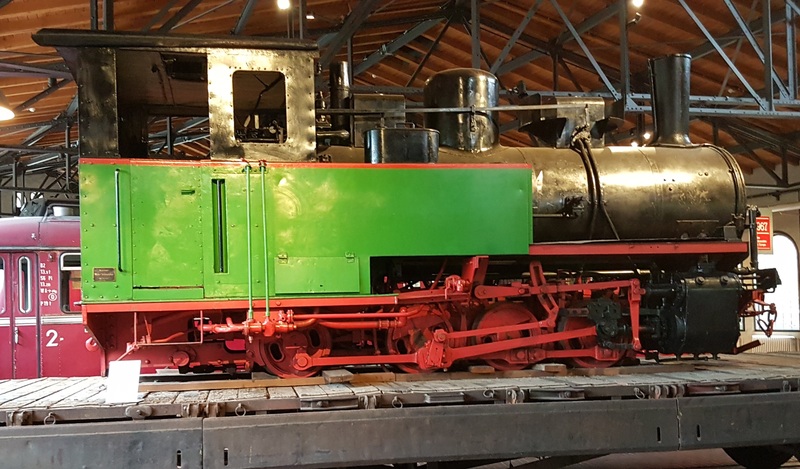 There were a number of narrow gauge locomotives on display, including a couple of rack locomotives. Gauges varied from 600mm to 1435mm. 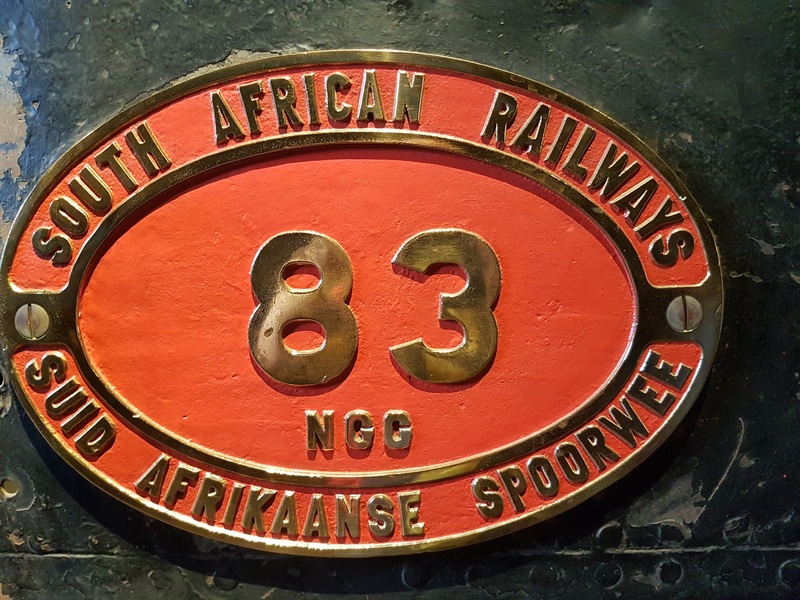 And this South African Garrett, built by Krupp (hence its display here) was a contrast to the other small locomotives. 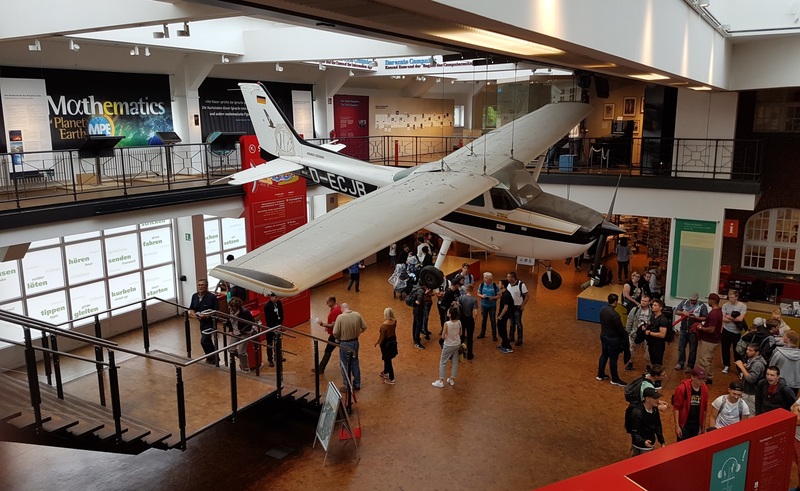 Entering the museum, you see this Cessna suspended from the foyer ceiling…. 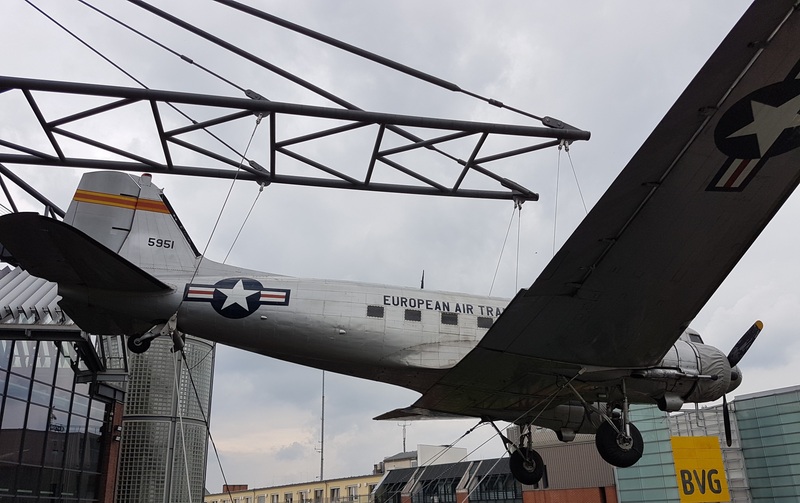 Whilst approaching it, this DC-3 Dakota is seen on the roof of the building. At the top of the new museum building, there is an interesting collection of aircraft, again rather packed in and difficult to photograph. 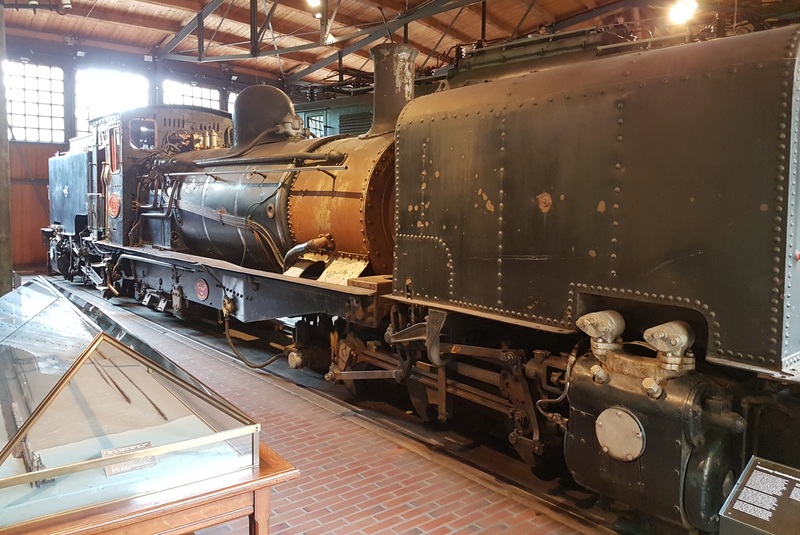 It is perhaps revealing that I knew most of the aircraft types, but had little idea about the German trains…. 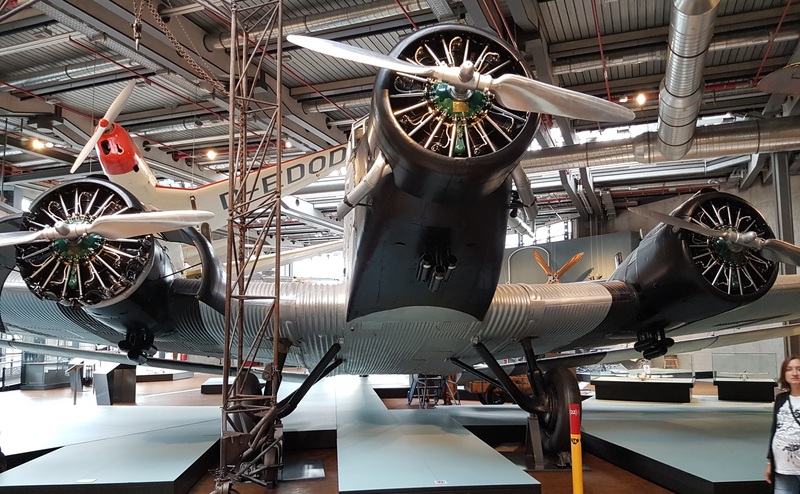 The Junkers Ju 52 Trimotor is a wonderful plane, with its distinctive corrugated aluminium fuselage. A dated design, but reliable, and still used in WW2. 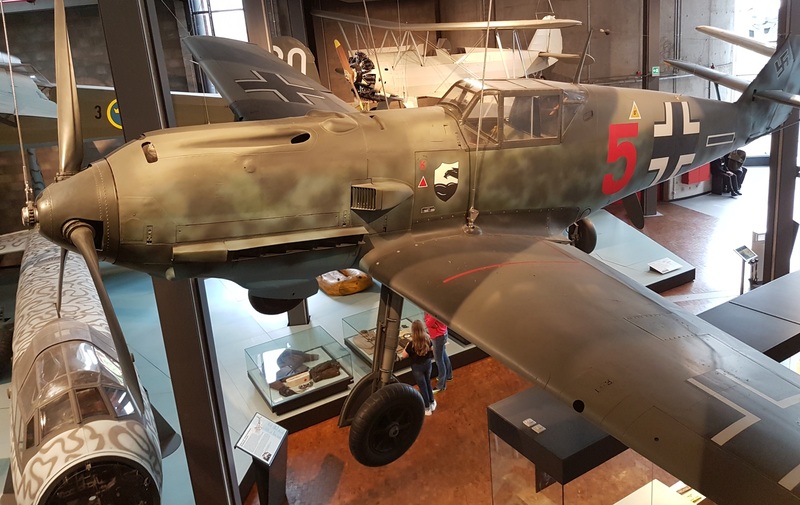 The Messerschmitt Bf 109 is unmistakable, and the backbone of the German air force fighters between 1937 and 1945. Nearly 34,000 were build, and several upgrades meant they were a match for all Allied fighter aircraft. And the Messerschmitt Bf 11o also served with distinction. Once outclassed as a heavy, long-range fighter, it became an effective night fighter and ground attack aircraft. 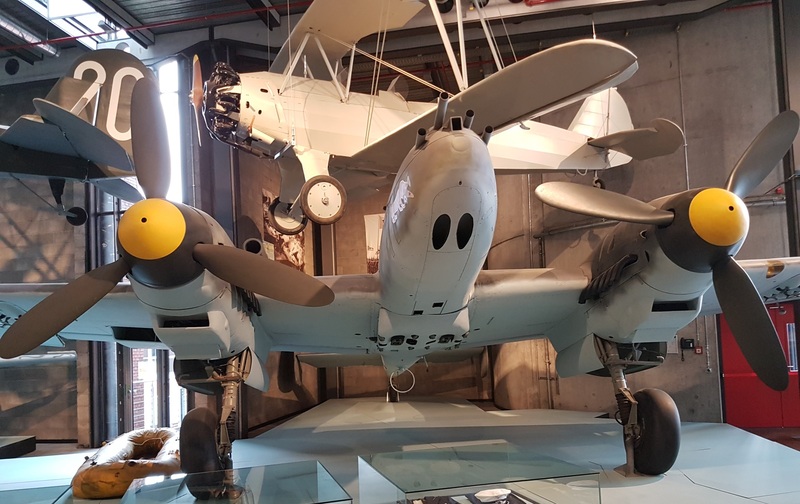 Less well known was the Arado Ar 79, built in the 1930s, and designed as an aerobatic two-seat trainer and touring aircraft. The Fieseler Fi 156 Storch was a small German liaison aircraft built by Fieseler before and during World War II. Production continued in other countries into the 1950s for the private market. It remains famous for its excellent STOL performance, much as the British equivalent, the Westland Lysander. Like the Lysander, the Storch had a very low landing speed and often appeared to land vertically, or even backwards, in strong winds from directly ahead. 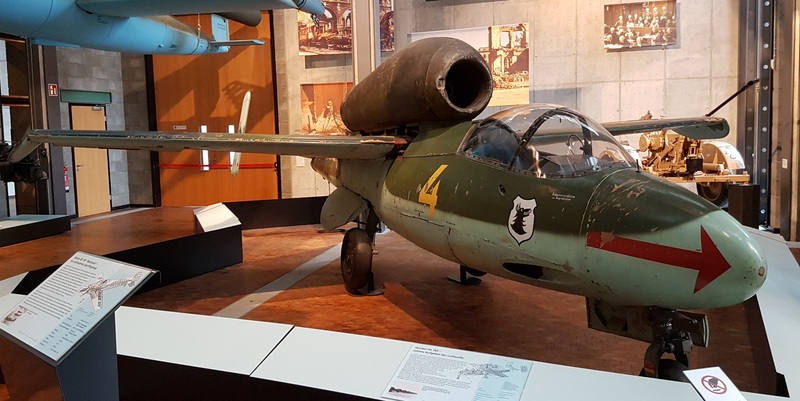 The Heinkel He 162 Volksjäger was a simple, mainly wooden, jet fighter built late in the war. The design was intrinsically sound; problems came from shortage of materials and poor standards of construction. A V1 flying bomb is displayed to its left. 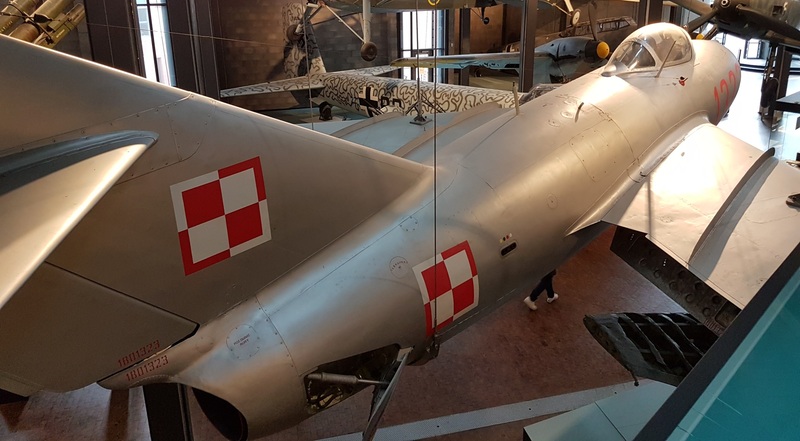 Finally, two more modern, Cold War jets, a F-86 Sabre…. And a Mig 15. These two jets met over Korea, and it is thought that they were equally matched – any advantages came from the pilot, rather than the plane.